Vaido (Võrumaa, Estonia) on 9 April 2017 in Animal & Insect. Beautiful silhouettes, framing and mood ! Love the silhouette against the moon and that gorgeous blue sky! Aw!! This is simply faculous !!! Stars for you !!!!! 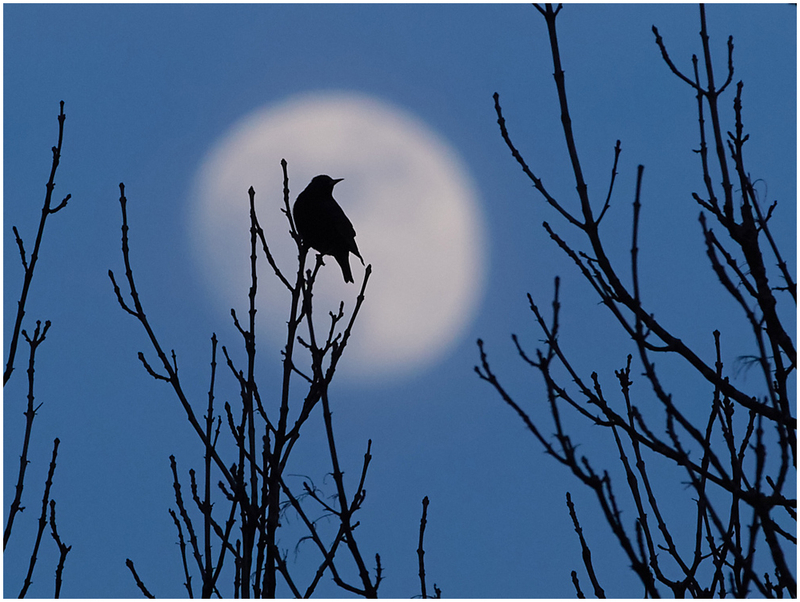 Love the dark and eerie mood in this image with perfect placement of the bird against the moon. Superb work. Un très grand bravo pour cette magnifique photo. So perfect. Such good framing. Congrats on the Spotlight. Excellent idea and concept, and a great choice for the spotlight. Congratulations! This is just spectacular! Congratulations on the Spotlight!